Here are the answers for the March 15th Q & A! 1.) When the Wind Raider goes back on sale around SDCC time, will the price be the same as 2011 ($45) or will it be raised to reflect the price increase of 2012 (10%)? It will likely go up just slightly as all 2012 items have. 2.) We still have one $40 item to go in 2012. Can you confirm or deny that this last slot is another 2-pack? That will be revealed at SDCC! 3.) With long droughts between "big reveal" conventions and shows (like the gap between Toy Fair and SDCC), it seems as if it might be a good idea to sneak out small reveals through other outlets to keep fans excited about the line. Toyfare used to be a good vehicle for this, but with that magazine now gone, have you thought about maybe reaching out to fan sites? Even small teaser images (like showing Grizzlor's back in Toyfare) would get fans jazzed while fostering a healthy relationship between your company and its supportive fan sites. There will still be periodic reveals outside of the shows! Stay tuned. 4.) What is your ideal sellout time for the Wind Raider's second sale? I am not trying to stir up trouble here- It would just be nice for fans to know what will be deemed a success. Sorry, we can't comment on things like this. 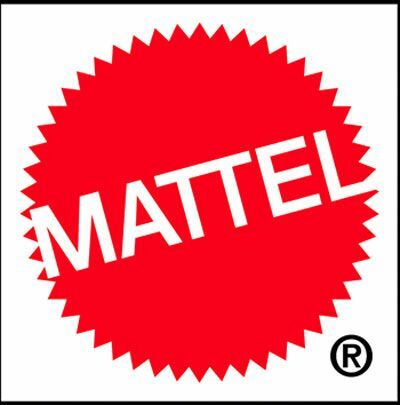 This is proprietary information to Mattel strategy we don't share publically. 5.) With lower sub sales in 2012, did you give any thought to reshuffling the planned rollout of the line (which was previously planned out through 2017)? If not, and if sub numbers continue to dwindle, will you perhaps reconsider removing some of the "filler" figures (third or fourth tier characters) and moving some of the "heavy hitters" (like Ram-Man) scheduled for later in the line to an earlier spot in the hopes of making MOTUC as "complete" as possible? Although the subs went down from 2011, they are still way way above our min units needed to run the line. We could actually cut the line to 2012 subs only and do just fine. The line is doing great. The dip from 2011 just meant we won't look at expanding too fast. It doesn't indicate the current line with the current roll out/number of skus is in any danger or not doing great. Thanks again to the folks at Mattel for taking the time to do this! For the Snake-Men army builder set, I have seen it mentioned that you are considering doing a green/red set and perhaps even a rarer blue/purple set. I don't speak for all fans when I make this suggestion, but are we too far along in production on this set to perhaps do a variant set, where you get Snake-Man #1 and Snake-Man #2 bucks, but each one has a random color (i.e., #1 is green, #2 is yellow ... #1 is blue, #2 is black, etc.). Even if not for this particular set, a repaint in the future? I think it would be both fun and frustrating at the same time!